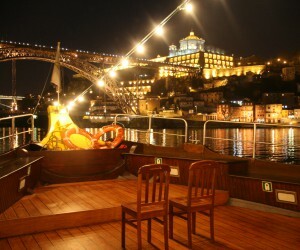 On Valentine's Day, fall in love with a romantic dinner by boat on the Douro river! Get to know our program! No city celebrates “São João” like Porto. 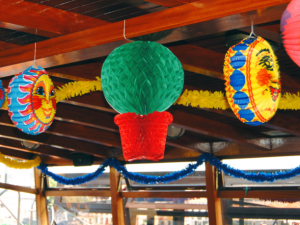 Join this party by watching the fireworks in our Rabelos boats! Contact us! Take a Christmas Lunch or Dinner Cruise! Check out our menus! Man-carved terraces intersect with the sparkling waters of the Douro River and paint a picture of sublime beauty. 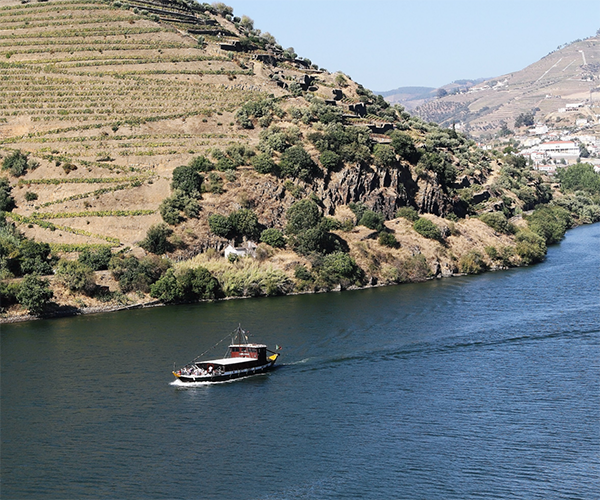 Embark on a Douro Acima cruise aboard a “rabelo” boat and discover breathtaking landscapes. 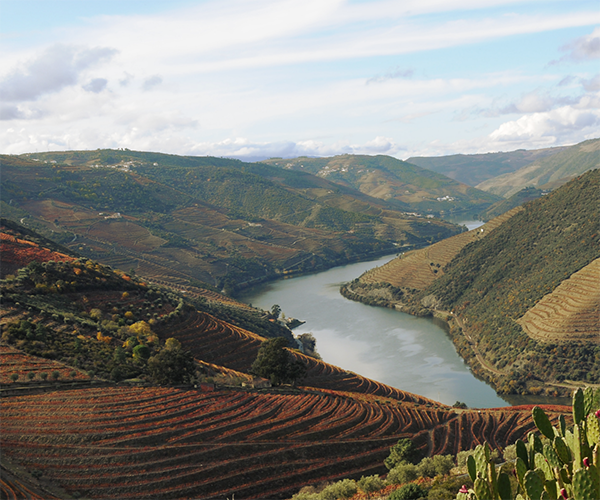 The Douro River is one of the largest rivers in the Iberian Peninsula, the largest river in Portugal, with a total length of almost one thousand kilometers. It is born in Spain, in the mountain range of Urbião, flowing between the cities of Porto and Vila Nova de Gaia. 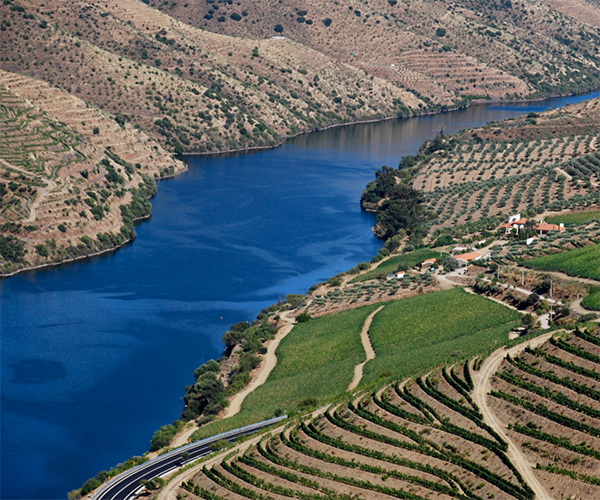 Along its route, the Douro river passes through areas known for the production of wines, cherries and almonds, such as Miranda do Douro, Barca d'Alva, Pinhão and Régua. It is 'cut off' in Spain by three dams and, in national territory, by five: Pocinho, Valeira, Régua, Carrapatelo and Crestuma. Douro Acima offers two types of cruises: the 6 bridges cruise, lasting 50 minutes along the banks of Porto and Vila Nova de Gaia, and 1 day cruises to the Douro Valley. There are six magnificent bridges that join the two banks of the Douro River. Have fun on the Six Bridges Cruise and get to know them - Luís I, Infante, Dona Maria, S. João, Arrábida and Freixo - from the oldest to the most modern. Enjoy the trip and observe the main points of interest that the view allows to reach: Ribeira Historic Area. S. Francisco Church . Stock Exchange Palace. Porto Customs House (Alfândega) . Port Wine Museum . Massarelos Church . Arrábida Bridge . Foz do Douro. Afurada (Fishing Zone). Crystal Palace . Electric Car Museum. Pier of Gaia. Port Wine Cellars . Monastery of Serra do Pilar. 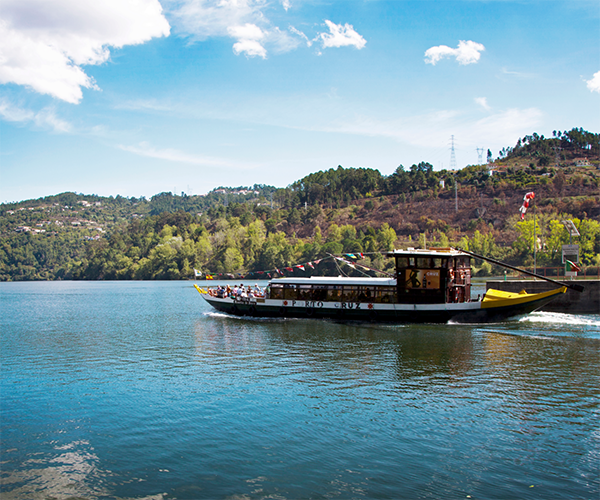 Take one day to contemplate the unforgettable landscapes of the Douro Valley aboard a “Rabelo” boat. Our boats are equipped to provide a pleasant and comfortable journey until arrival at the destination. 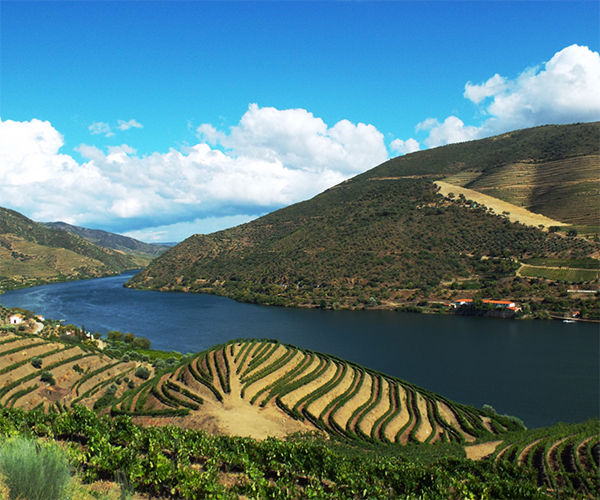 The reverse route is by train, in an amazing trip that allows to contemplate the Douro in a different perspective. The meals served during the trip are made on board to ensure the highest quality and taste to customers, accompanied by experienced staff who receive them with the highest professionalism and friendliness. Douro Acima is a pioneer in the organization of events, such as weddings, baptisms, meetings, anniversaries or other meetings, which can be held on board our boats. We attach the best service to a unique landscape of the Douro River on our Rabelos boats, providing magical moments. 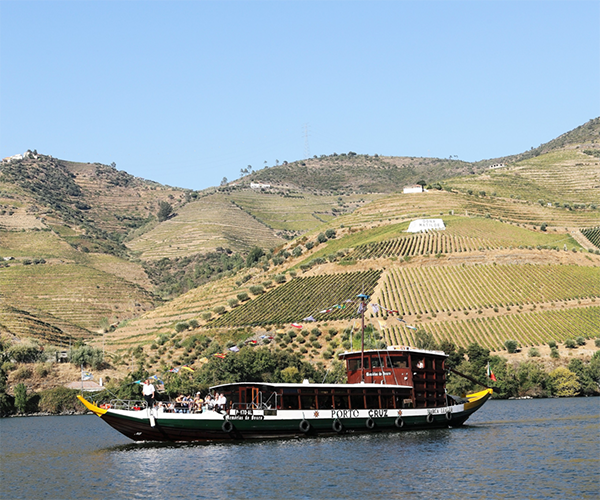 On board our cruises, you can also enjoy a pleasant meal, taking the Douro River as a backdrop, glimpsing the different riverside regions from a unique perspective. Celebrate with us! Lunch service during a Douro cruise on a section of the waterway between the Crestuma-Lever dam and Foz. Program to special personal, commercial or business occasions and that can be composed by a wide range of animations. 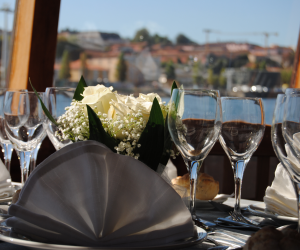 Dinner service during a cruise, with night navigation between Afurada and Freixo and all the riverside front of the Historic Area of Porto and Vila Nova de Gaia. Program designed for special occasions such as cultural meetings, promotions or business incentives, conferences or presentations, reunions of friends or even your birthday. If you prefer, add live animation to the cruise. There are unique and unrepeatable moments that must be celebrated in a remarkable and unforgettable way. Douro Acima organizes original events, aboard its Rabelos Boats, with surprising sophistication and elegance. Our boats provide the maximum comfort and convenience, as well as the stunning landscapes that will naturally decorate your event, brightening up your photo album. 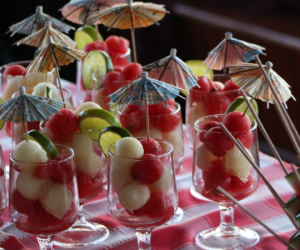 We also offer a catering service, with a diverse menu and can be customized according to the client's requirements. 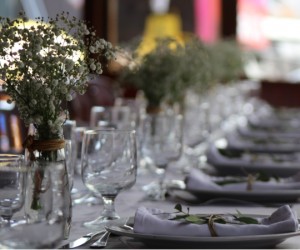 On board of our Rabelos boats, Douro Acima offers the space for an event that suits you. Enjoy the naturally charming landscape of the banks of the Douro and prepare all the details with the help of our team.